The Megaworld Hotels Club Access Card is a travel privilege card loaded with freebies and perks. 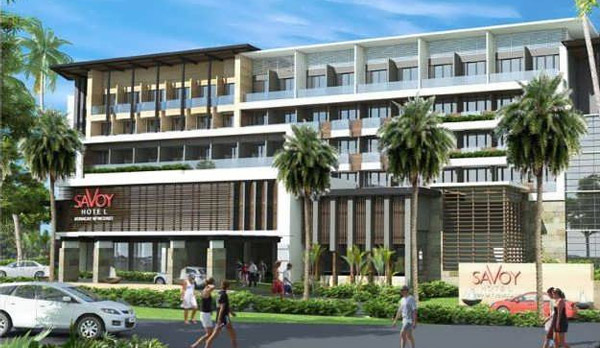 It’s now available at the Richmonde Hotel Iloilo for a super value of PhP6,999. 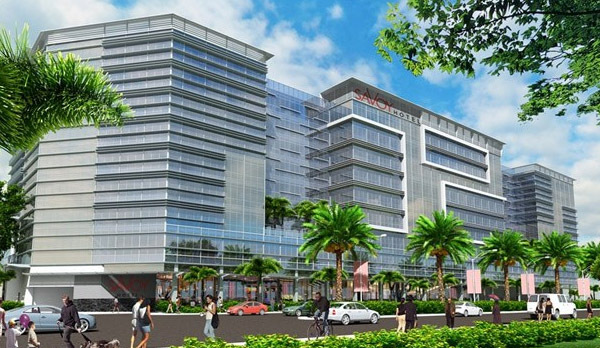 This is an exciting new consumer product by property giant Megaworld in order to thank its loyal patrons. Ms. Natalie Lim and Ms. Jennifer Palmares Fong during the launch of the Megaworld Hotels Club Access Card held at the Richmonde Hotel Iloilo. With one travel privilege card, you can experience the best of the Philippines—from the festive city of Iloilo, the pristine shores of Mactan, the green hills of Tagaytay, to the bustling Manila. L-R: Sales and Marketing VP Jennifer Palmares Fong, Richmonde Hotel GM Natalie Lim, and Senior VP Harold Brian Geronimo during the launch of the Megaworld Hotels Club Access Card in Western Visayas. So why is the Megaworld Hotels Club Access card a must-have for every avid traveler? Here are the top five reasons why you will definitely love your own card. I have my own and I surely am a proud owner of this card. It’s definitely going to entail a lot of family travels for our gang next year. With its perks, the Megaworld Hotels Club Access Card is the most affordable hotel privilege card to date. 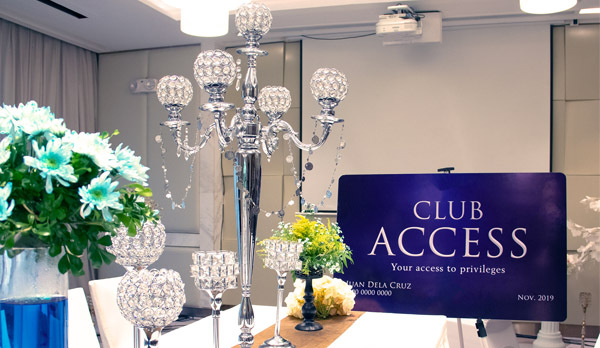 Members can fully enjoy the power of Club Access for an entire year for only a low one-time membership fee of Php6,999. With this, the holder is then entitled to a complimentary overnight stay that can be used in any of the member hotels around the country. Additionally, there are so many discount vouchers on dining and even on rooms. These can be used on amenities and other hotel services even during special promotions. “Club Access is designed for the quintessential traveler. 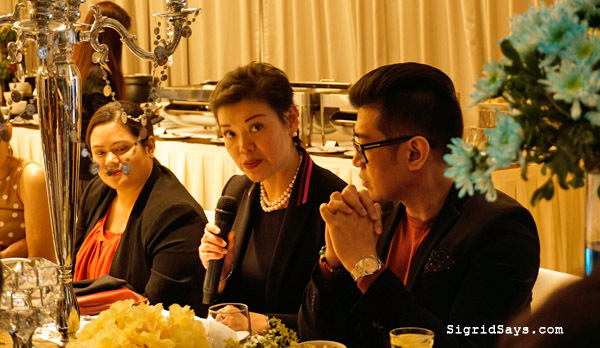 It is someone who wants to experience the best accommodations our hotels can offer in several key destinations like Boracay, Tagaytay, and soon, Cebu” says Natalie Lim, general manager of Richmonde Hotel Iloilo. She also serves as the Club Access spokesperson. “It is perfect for people who love being pampered and know that they deserve the best,” she adds. The Megaworld Hotels Club Access Card gives members access to the most number of homegrown Philippine hotels nationwide. Two (2) Complimentary Upgrades to the Next Room Category at all participating hotels. On top of these, members get unlimited 20% discount on Best Available Rates in all types of rooms. These are inclusive of breakfast for two. On promotional rates and special holidays, members can still get 10% discount on all types of rooms inclusive of breakfast for two. The pool at Belmont Hotel Manila. The Megaworld Hotels Club Access Card is the only hotel privilege card that provides more hotel choices within the country. This is especially useful in key tourism areas like Cebu, Boracay, and Tagaytay. Elegantly wrapped in elegant royal blue, the Club Access card comes with hotel vouchers that offer dining discounts and complimentary accommodations. Just take note that the Club Access card is non-transferable. However, tagging along another person is always welcome so you fully enjoy the fun of staying at any Megaworld Hotel. No other hotel membership privilege card offers travelers the access to some of the top Philippines hotels. Members can indulge in the finest local cuisine for free at all participating Megaworld Hotel restaurant when accompanied by one paying guest. The member plus two guests get 30% discount on total bill. Furthermore, member plus three guests get 25% while the member plus four to 19 guests get 20% discount. Even members dining alone automatically get 30% off the total bill. Complimentary wash & press laundry services for up to three (3) pieces of clothing. Plus 30% discount on availing of such services when staying as a paying guest on your next visit. Excludes dry cleaning services. Complimentary Scheduled Shuttle service from the hotel to the main station when staying in Savoy Hotel Boracay. 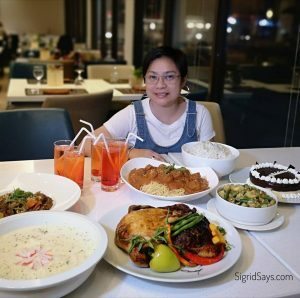 Richmonde Hotel Ortigas –Dinner on weekdays/All-day on weekends. Eastwood Richmonde Hotel –Dinner on weekdays/All-day on Sundays. 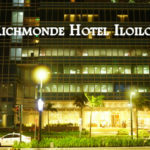 Richmonde Hotel Iloilo –All-day on weekends. Twin Lakes Hotel –15% off on weekdays and 10% off on weekends (not valid on banquet packages). The Bacolod bloggers have attended the Western Visayas launch of the Megaworld Hotels Club Access Card at the Richmonde Hotel Iloilo. So happy to have my very own card. You see, we have been looking for a place to spend the birthday of our eldest daughter and this just solved my problem. 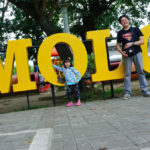 She likes traveling on her birth month, like the birthday adventure she had in Baguio City this year. 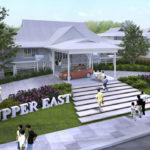 So next year, will go to one of the the Megaworld homegrown hotels for her birthday. We will just have to decide which one. Will it be Tagaytay? Or Boracay? We shall see. Get your Megaworld Hotels Club Access card as soon as possible and enjoy so many travel perks. Discover more of the beauty of Western Visayas and the Philippines and partake of scrumptious cuisines through Megaworld Hotels Club Access Card. Call their hotline, (03) 330-6007, for more information. In Iloilo, the card is available at Richmonde Hotel Iloilo, located at the Iloilo Business Park. 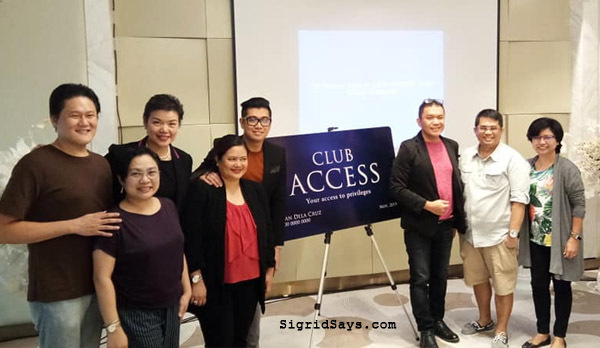 Bacolod travel bloggers covering the launch of the Megaworld Hotels Club Access Card with Megaworld executives: Senior Assistant Vice President Harold Brian Geronimo, Richmonde Hotel Iloilo General Manager Natalie Lim, and Sales and Marketing VP Jennifer Palmares Fong. I was wondering was there a card to hotel like this? And here you are with the solution. Really I must say, I want that. But it would be nice if everyone get the cards based on where they live.You will be making every traveller’s dream come true. I can already imagine them getting happy. This sounds like a very worthwhile travel incentive program to get involved with. I am sure the many benefits are excellent. This card does sound like it would come in handy if you travel a lot. I’ll pass this onto some friends who do! I like all the perks. Philippines is one of my bucket list goal for next year and I’ve looking around for nice hotel to stay in and it’s hard to find them. But this Megaworld hotel club access card is must have for me! Would love to stay at Twin Lakes Hotel Tagaytay! Gorgeous! Same here Soonjoo! 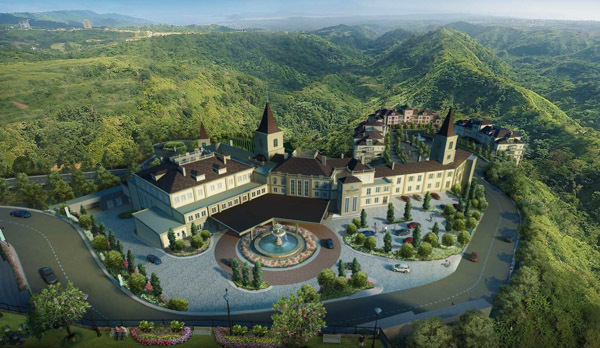 Twin Lakes Tagaytay is one of the most premium Philippine hotels managed by Megaworld. I have my eye on that, too, for next year. There are so many perks that come with the card! And the accommodations look beautiful. I bet this would encourage me to travel more around the Philippines if I had this many perks/discounts. Awesome! What a great card to have access to. I’ll have to wait for the Megaworld Hotels Club Access card to become available where I’m at. The Club Access Card sounds amazing! A lot of perks for those who travel and stay in hotels often! 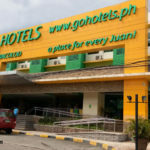 The fee is just the cost of an overnight stay at any of these Philippine hotels. This card sounds useful for those who travel often. Thank you for passing on this info! what a great card to have! the benefits are unbelievable, makes me want to go back to the philippines! 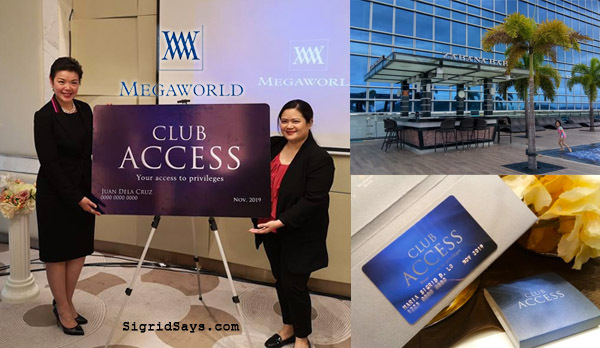 The Megaworld Hotels Club access card seems like a great opportunity! With all the perks that come with, this card is a great deal! Wow, it seems like this travel access card has a lot of advantages if I have it. I will share this to my brother who travels a lot and I am sure he is going to grab it. 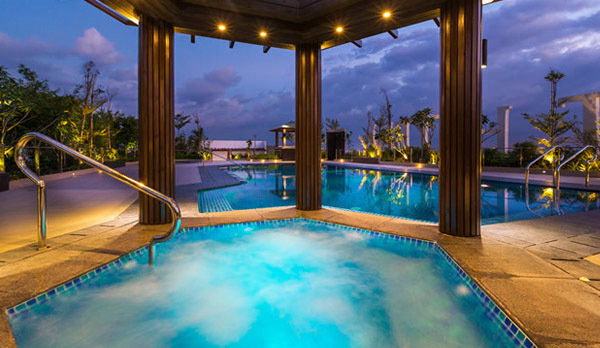 The Megaworld hotels club access card is surely worth it! This is an amazing hotel club card. The discounts look amazing and the additional perks are so worthwhile. It’s nice of Megaworld to offer this to frequent travelers around the Philippines. Megaworld hotels sound great. I love the free nights perk. Who wouldn’t?! This is an awesome travel privilege card to have. Wow the club access card sounds like a fantastic way to travel. I love the upscale choices and perks for those with the card. It looks like this membership has some really great benefits! I would love to be able to take advantage of these awesome deals one day, thanks for sharing! wow sounds like there are many perks to this access card. complimentary room upgrades are always a good idea. The Megaworld Hotels Club Access Card is a must-have for every avid traveler in the Philippines.